Given Mr Ventura's sensitivity and attention to precise that the herb garden was a request of the chef, we weren't surprised when we were firstly introduced to him: chef Michelangelo Mammoliti. 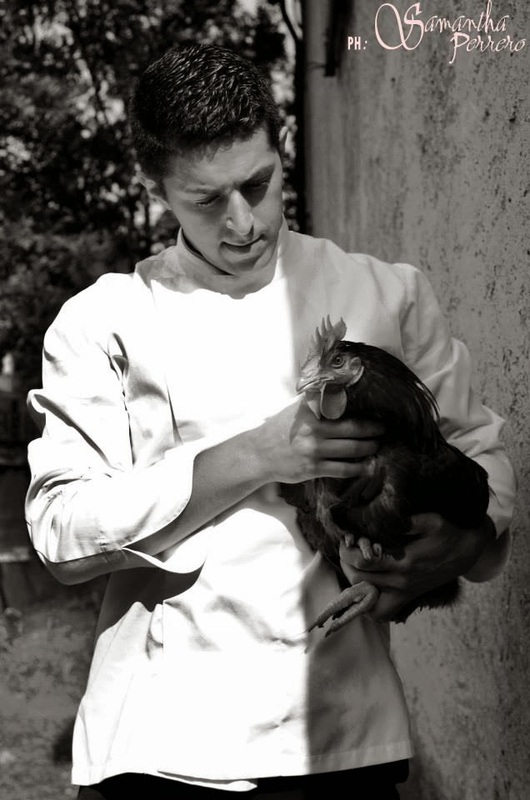 We were told he was a young professional with a solid experience but little we knew he was an "herbalist chef", with a true love for his native Piedmont flavors and ingredients! However, we got the chance to sit down at listen to his life story, cooking philosophy, even peeking through his kitchen and tasting his own creations. After admiring the landscape, we sat down with Michelangelo and listened to his story: born and raised in Giaveno, in the Turin area, he grew up in his grandparents' restaurant, where he started working since a young boy. 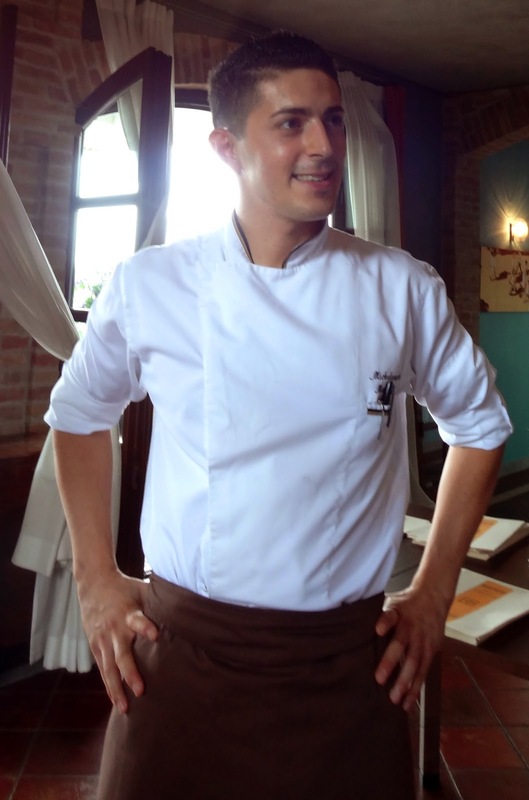 After the high school diploma in hospitality, he got the chance to work at the major Turin's gastronomic institutions, like Stratta and Turin Palace hotel. He even worked in Milan with the world renown chef Gualtiero Marchesi and at Stefano Baiocco's restaurant on Lake Garda. 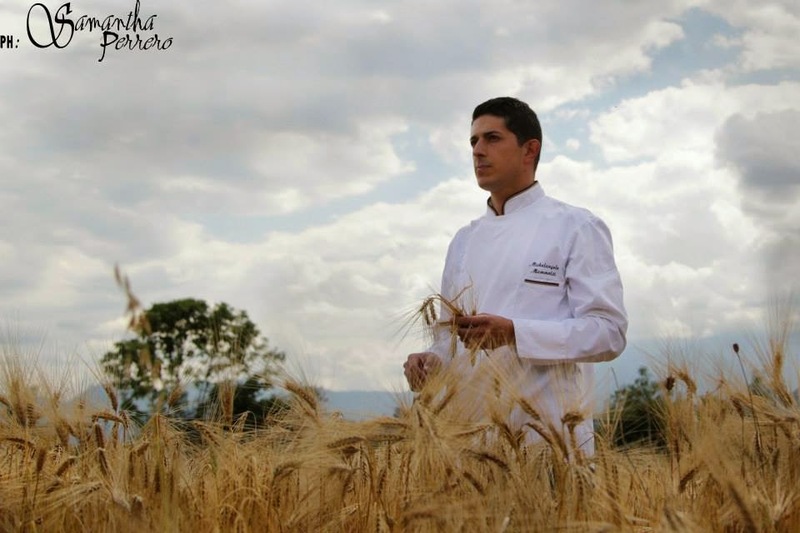 His career went on over the Alps, first in France, where he was professionally trained and worked with big international chefs like Alain Ducasse and Pierre Gagnaire; then, he moved to Beirut for the launch of a new restaurant, to finally go back to France, where he ended up as a chef at Yannick Alleno's Cheval Blanc! As Mr Alleno's chef though, Michelangelo's creativity was restrainted because he had to follow his programs; successively, moving over to Burgundy, at L'Esperence restaurant in Vezelay, renowned chef Marc Meneau did open Michelangelo's eyes. Mr Meneau was the very first person who really gave him the chance to prove his culinary skills and thanks to his experience there, he got hired as chef de restaurant in Switzerland. No matter his thirst of new experiences and learning new techniques, after six years abroad, Michelangelo started missing the flavors and ingredients had grown up with in Piedmont. As it happens to all expats, and Italians in particular, he started longing to come back home and do something new, different from what already existed. It was while he was chef the cuisine in Switzerland that he met Fabrizio and Luciana Ventura, onwers of La Madernassa, in Guarene. After savoring his specialties, they knew he was their man and offered him a position at their Osteria in the Roero wine district, a little more than an hour driving from his parents' home. 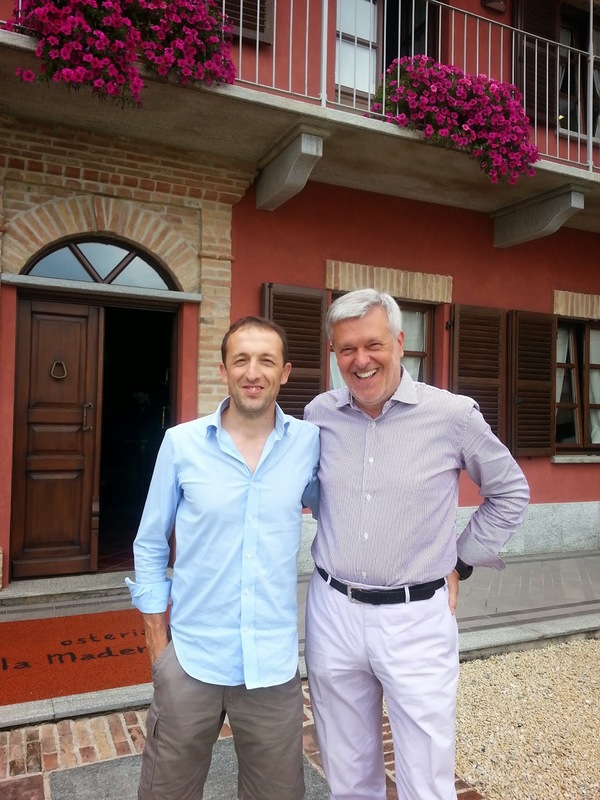 This is how Michelangelo Mammoliti arrived in Roero and started his gastronomic revolution. 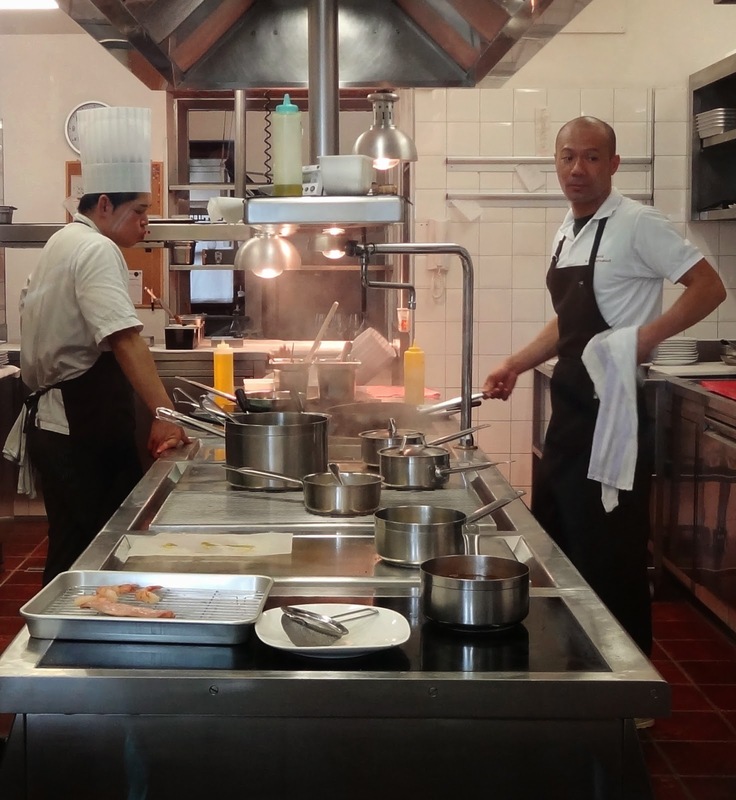 Changing chef in a restaurant equals to changing a president: everything changes too and, supported by the restaurant management, the very first innovation Michelangelo brought were new pots and pans: "with the old ones, I just couldn't cook", he told me. During his training in France, Michelangelo got particularly fascinated by the use of medical herbs and roots in gastronomy. Today, his cooking style makes him a real herbalist chef incorporating local wild herbs, forgotten roots and medical herbs into his dishes. 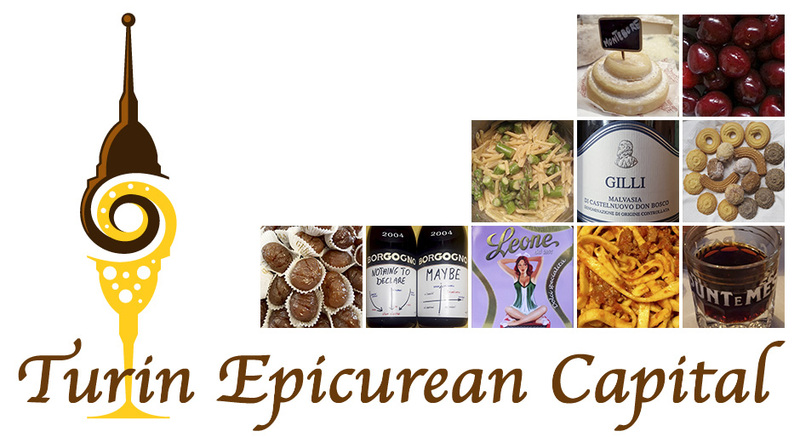 His cooking philosophy can be summed up as local, sustainable and stimulating all the senses. In fact, in the best Piedmontese culinary tradition, his dishes show how even the most humble and simple ingredients, such as herbs, can make a high-level culinary delicacy, served at upscale restaurants. Fully supporting his cooking philosophy, a few weeks ago, the management planted a herb garden which is the first step of a large project that will ultimately contain up to 250 different herbs and will also include a fully working synergic garden. Besides being a chef, Michelangelo's prolific creative mind keeps busy researching the herbs, studying watercolor painting techniques and neurophisiology of taste. He's particularly interested in the interaction of the senses and how they can all be stimulated at his table. His dishes mix flavors, textures and perfumes, for example, he pairs the crunchiness of bitter almonds, with crayfish and aromatic peaches. Or, the granny smith-like acidity of oxalis purpurea with raw shrimps and basil, orchestrating a unique concert of natural and animal fats with the freshness of the plants. 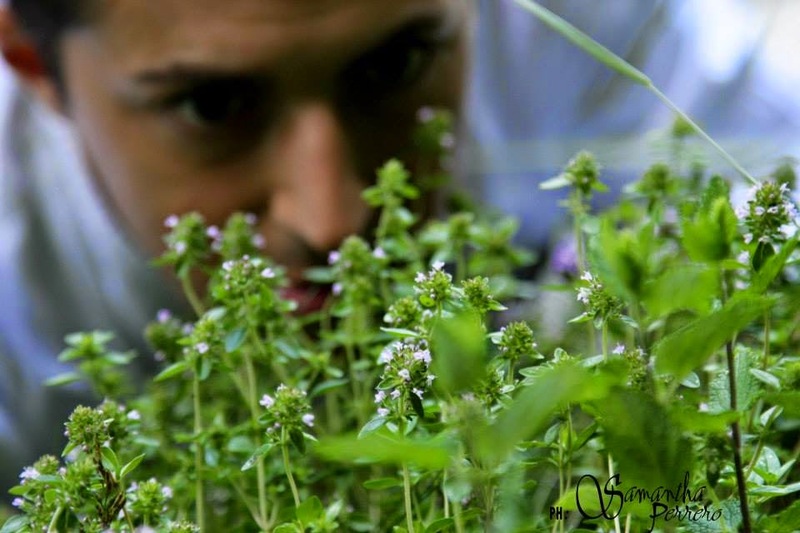 "Each herb has its own purpose", he says and he plays with all the food components: acidity, fat, bitterness, salty, sweet and crunchines to enhance the experience of his culinary art. In the future, he plans to deconstruct the organization of the classic Italian menu and its categories, following the seasons, the availability of the ingredients and the locality. He wants to serve what nature gives us allowing the eater full freedom of choice. He is also committed to create a menu with local ingredients but deprived of anything that can trigger any allergic reaction, thus becoming edible by virtually anybody on earth. He likes to collaborate with different specialists, committed like him to respect the locality and its nature. And since, one of the things he's been missing the most from his France days is the mutual collaboration between colleagues, he's also setting up a network of local professionals, who can rely on each other. 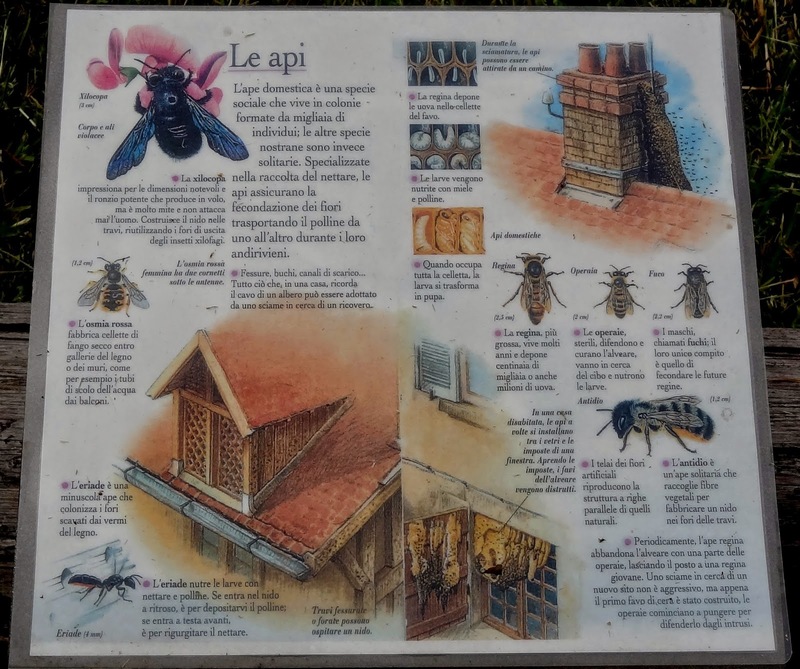 This is how he got to meet Ms Bruna Sciolla, who will help with the restaurant synergic garden, and Villa d'Amelia starred chef Damiano Nigro. "Ultimately, this area needs to be promoted and we all have to team up to put the word out there". "Quality and excellence are the top priority in the kitchen"
Every detail is important: from what you feed the animals you'll cook, to the tiniest aromatic oil drop. Changing the diet of a chicken, you also vary the flavor and texture of a cooked cutlet. Following him to the kitchen was a magic experience, the same you can find in his dishes! 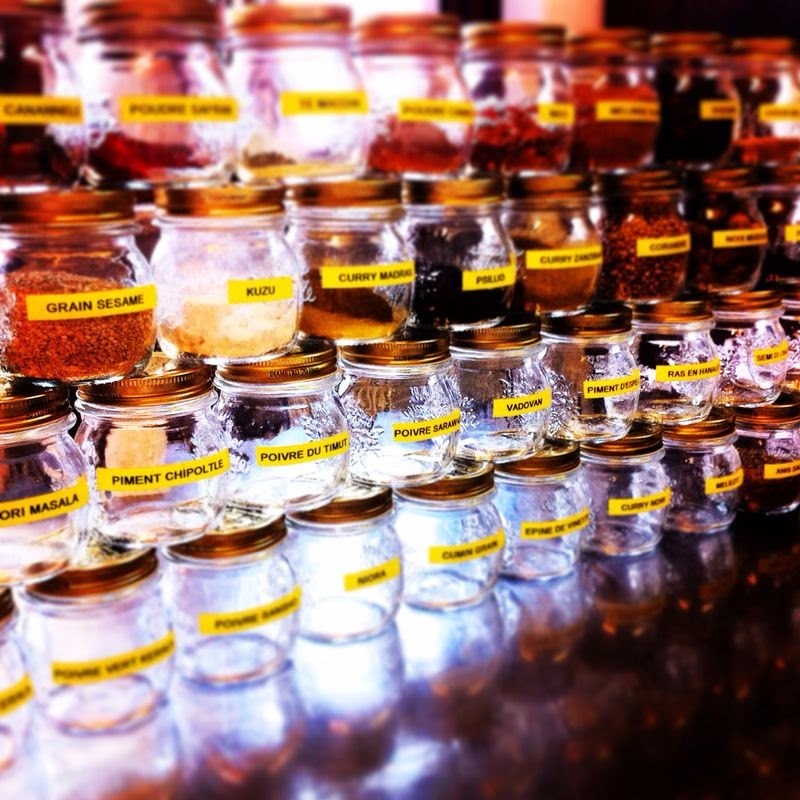 With his Harry Potter like charm, he took out a large tray of small glass jars and proudly told us, that after selecting the herbs he needs, he picks them, dries them and reduces them into aromatic powders. Properly mixed and added to the right dishes, the final alchemy of flavors, scents and textures open the lucky eater to a new culinary experience. To give us a glimpse of what he meant, he allowed us to sniff his magic jars and try his aromatic oils: light extra virgin olive oils prepped in many different and secret ways to give aromas of: mint, tarragon, lemon, tomatoes, capers, basil, olives and garlic. Small drops of these oils add extra dimension, scent and flavor to his dishes which are served like a canvas, because the eyes need to appealed too. Swayed by the aromatic wafts of lavander and sage, we concluded our meeting with Michelangelo who told us how being technically trained in France, he has always incorporated the local flavors in his dishes. Now that he's back in his native land, he reaches out to all his culinary experiences from his years abroad to create something new. His recent trip to Japan moved him deeply as it changed his perception and vision of the chef role. He thinks that the Japanese cuisine, being instinctive and connected to its territory, is very similar to the Italian one. Spices and herbs are part of his cooking style and even when he worked in Lebanon, he studied the local ingredients to make new pairings. Now, his past experiences, flavors and know-how come to use and this is how he created the Nespresso cardamom coffee, thinking back to his days in Beirut, Lebanon. 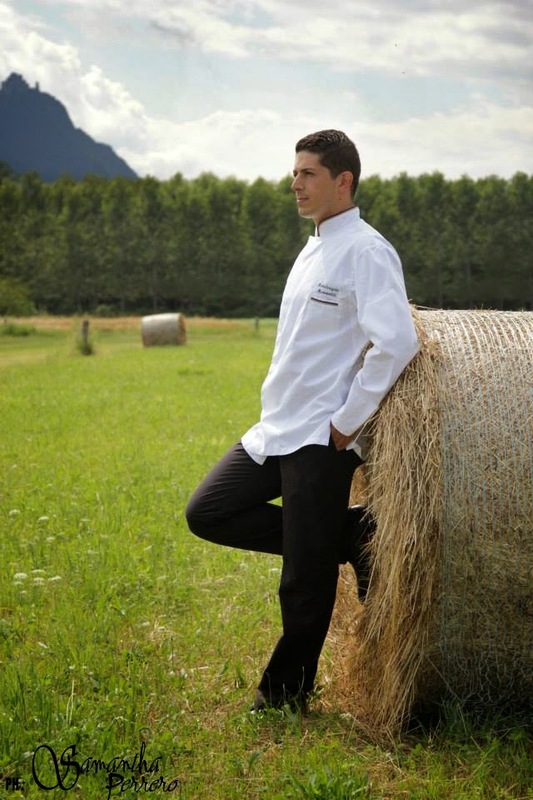 Michelangelo Mammoliti is definitely a chef you need to keep an eye on, so mark him down for your visit to Piedmont! Looks very interesting and delicious.